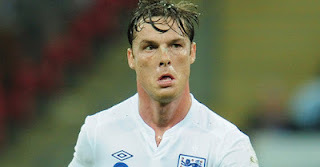 Interim England manager Stuart Pierce has decided to name Tottenham midfielder Scott Parker as England captain for today’s friendly against The Netherlands. This selection comes as a shock to many England supporters and neutrals alike, but in the wake of being voted England’s Player of the Year it seems that Pierce has been caught up in the Parker hysteria. The England captaincy is always an issue among supporters, drawing much more attention than it suitably deserves, but this particular selection has left me confused. When John Terry was stripped of the captain’s armband for alleged remarks made against Anton Ferdinand, many assumed that Steven Gerrard would take over the role, despite not featuring in Capello’s recent squads. While Gerrard was being included in the England squad for the match against The Netherlands, Steven Gerrard has been overlooked along with Ashley Cole, Joe Hart, Wayne Rooney, and James Milner for the captaincy. With only 10 England appearances in his career, thirteen players currently have more experience at the international level than Parker, although he has made more McDonalds commercials than nearly all. While Parker has enjoyed a renaissance in his career since joining Tottenham this season, he is the same midfielder who spent the majority of his career featuring for a lackluster West Ham side after not being able to break into the Chelsea squad. Even this season, where he has been a regular feature for 3rd place Tottenham and been a central figure on and off the pitch, he has only managed to notch a single assist in 24 starting appearances. His only goal scored came while still playing for West Ham in the Championship. While Parker has only been named captain for today’s friendly against The Netherlands, this move has fans talking about who will wear the captain’s armband during this summer’s Euro 2012 tournament. John Terry is likely out of the running due to the previously mentioned allegations, but many more experienced members of the England squad could provide a suitable alternative. 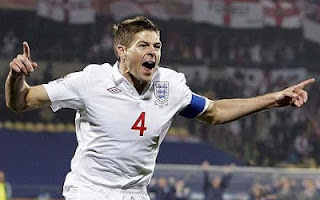 Gerrard with fifteen previous appearances as England captain is the natural choice for captain, but isn’t the only member of the squad to have pulled on the armband for the Three Lions. Wayne Rooney served as captain for a single friendly match against Brazil, but was unable to inspire a win and has not been selected since. Other candidates exist throughout the squad, Ashley Cole has been a regular feature for the England squad for over ten years and is one of the game’s premier left backs, but would be an unlikely choice thanks to his tabloid headlining divorce with Cheryl Tweedy. He does have a record as an unofficial captain in last February’s friendly against Denmark when Frank Lampard gave him the armband at halftime. Joe Hart and James Milner’s names have both been thrown into the pot of potential England captains, but neither has been given a serious opportunity despite being automatic selections and exemplary players for the squad. 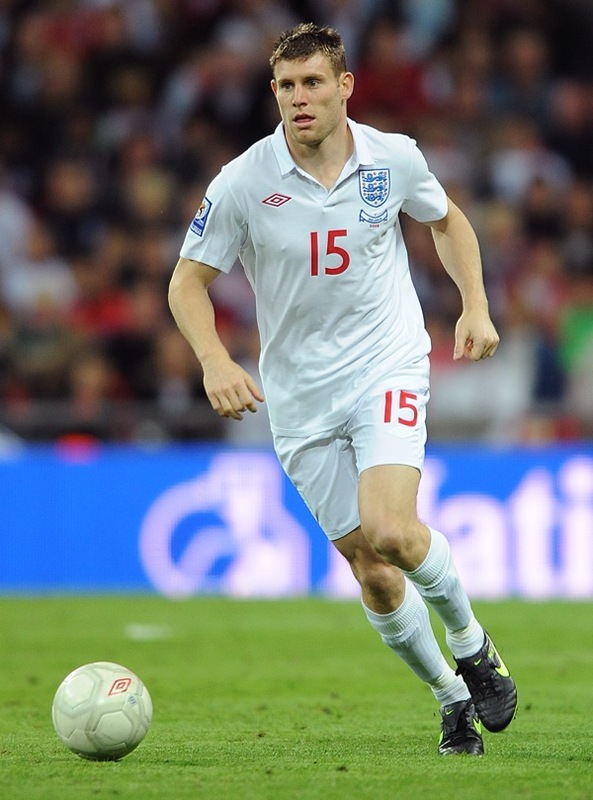 Milner is the most capped player in England history at the U-21 level and was handed the armband for the final ten minutes of the 2010 match against France. His tenacious style and record of assists would make him a suitable candidate for the role this summer. Joe Hart would be a non-traditional selection as a goalkeeper, but England has boasted an undefeated record when Hart puts the gloves on for them. His on field leadership and positive demeanor could be uplifting to an England squad desperately in need of something to cheer about. 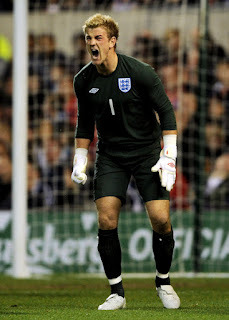 Whether or not he is made the captain, Hart is undoubtedly the first selection as goalkeeper for the upcoming Euro 2012. Whoever ends up assuming the role of captain will have a lot of work to do during the summer. With a new manager looming on the horizon it will be their job to navigate England through this time of uncertainty to the success that Three Lions fans desire so much. With a talented and experienced squad at their disposal, England is poised make a successful run in Euro 2012, but they will first have to sort out their internal issues if they want to hoist any trophies in the near future.